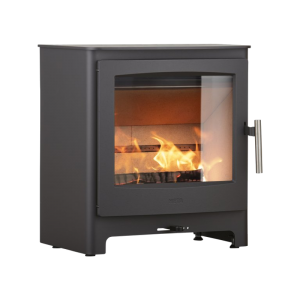 Designed with German engineering and expertise, the Vega Alin is a contemporary marvel with acute attention to detail. 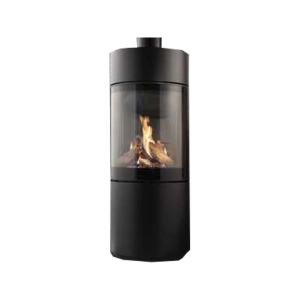 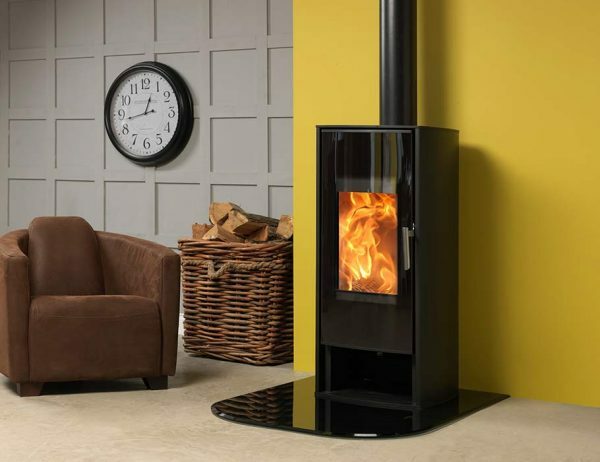 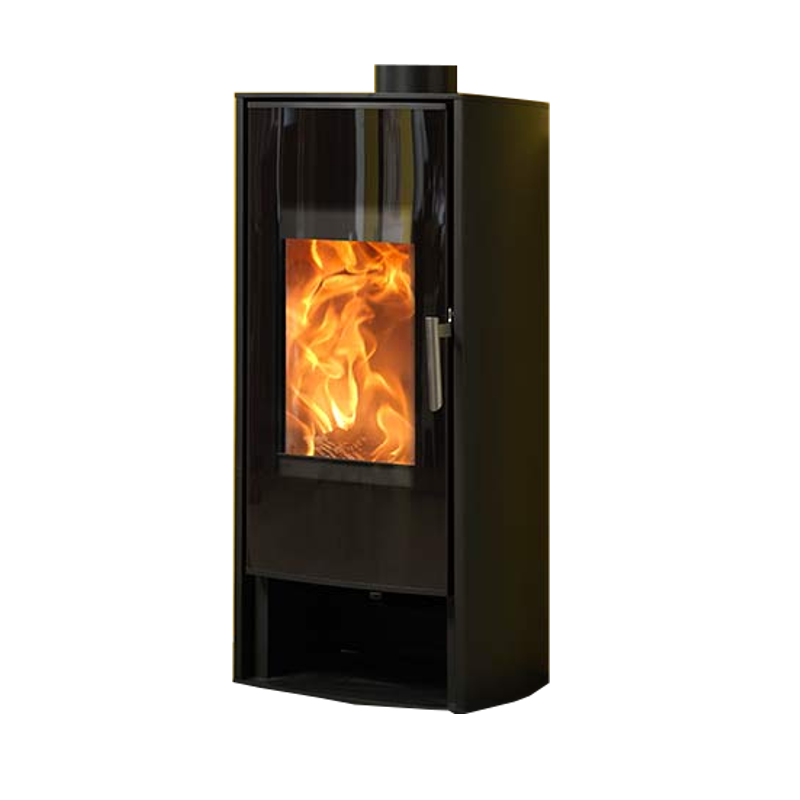 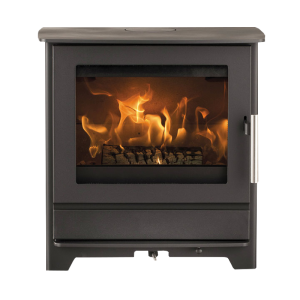 This freestanding, wood burning stove has a large curved glass door to fully maximise the view of the burning logs within and a cool-touch handle allowing glove-less operation. 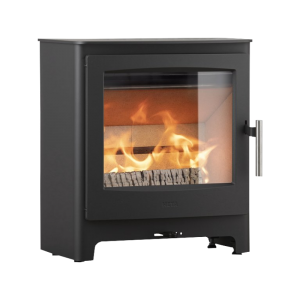 Inside, the smooth, white moulded stove lining offers an attractive contrast and perfectly highlights the colours of the flickering flames. 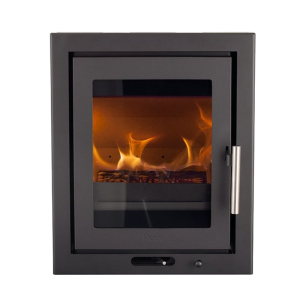 It also features an easy to use, single operating lever for fast and responsive control of the stove. 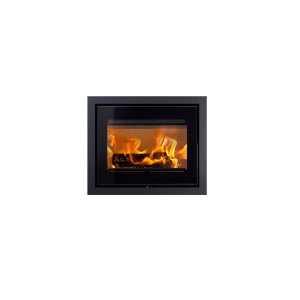 Shown here with a semi-circular smoked glass hearth.